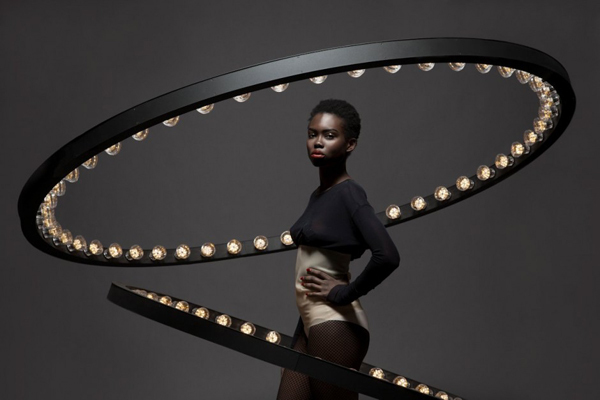 Jasper van Grootel of JSPR has designed a lighting collection named Aura. 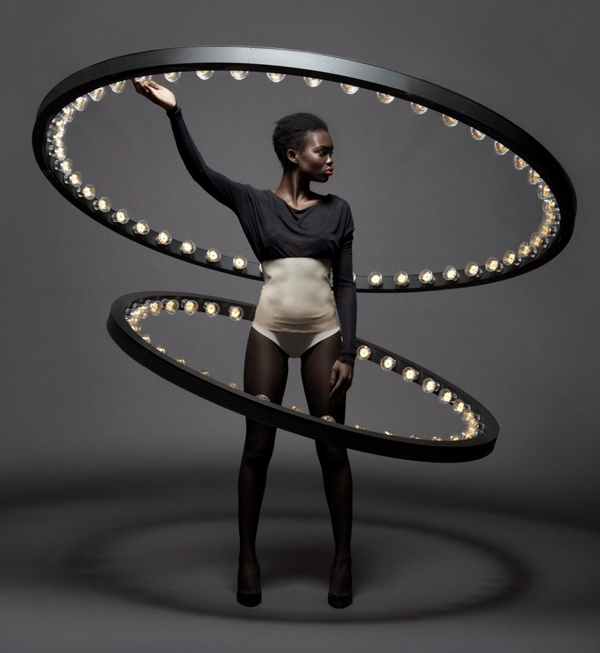 The Aura collection consists of a variety of three circle shaped lighting items in different sizes. 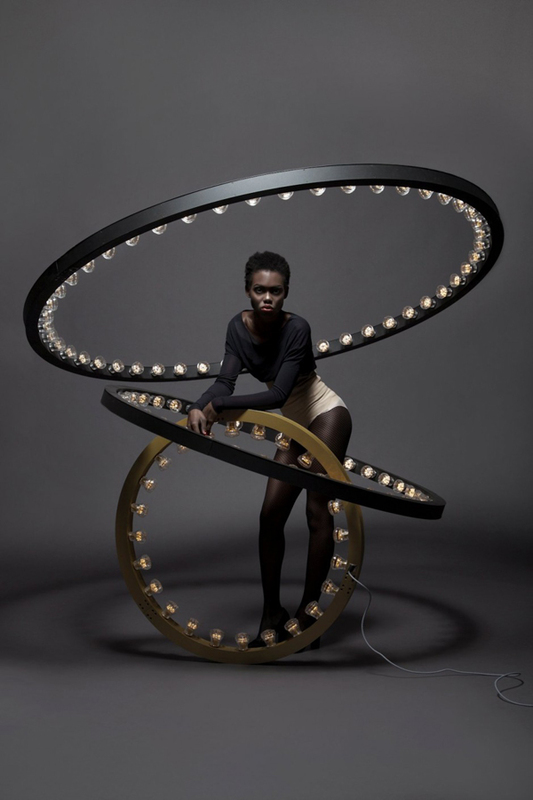 Crafted of Anodized aluminium and fixed with fairground light bulbs these design objects are sophisticated yet playful. 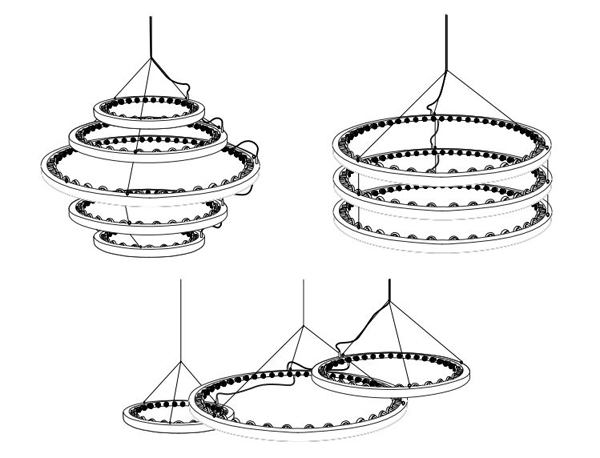 It is possible to connect thru the Aura’s; create an immense lighting object by making a range of the same or different sizes offered. These lighting items ad a luxurious and intense atmosphere to a space, whether it’s in a hospitality facility, in an office, a living room or even in a club.